Home/News and Events/What’s under the Antarctic Ice Sheet? 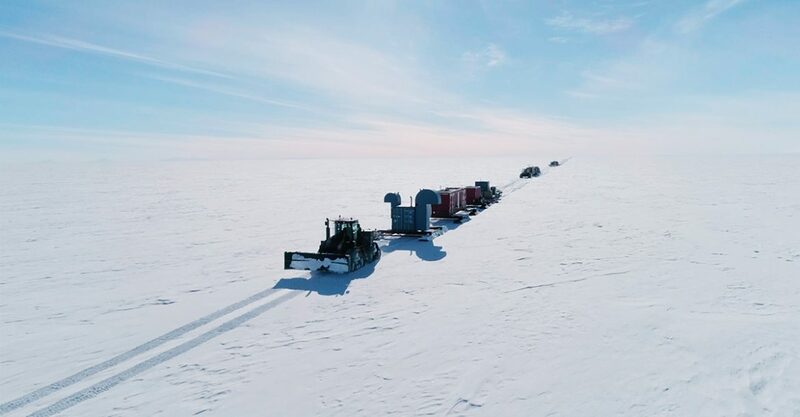 ST. PETERSBURG, FL – A unique method created by a USF associate professor to determine radiocarbon ages, will be central to an expedition expected to transform the way we view the Antarctic continent. Brad Rosenheim, PhD, associate professor of geological oceanography in the USF College of Marine Science (USFCMS), is a principal investigator of the SALSA (Subglacial Antarctic Lakes Scientific Access) project, which aims to better understand Antarctica’s subglacial environment. Rosenheim and his PhD student, Ryan Venturelli, will be employing Ramped PyrOx (pyrolysis-oxidation) 14C dating on sediments sampled from the bottom of Mercer Subglacial Lake. His radiocarbon dating method, performed with an apparatus affectionately called the ‘Dirtburner’ in CMS’s Marine and Environmental Chemistry Facility, uses heat up to 1000 °C to gradually break organic carbon free from the sediments in a way that simplifies interpretation of sediment age. This process helps indicate the timing of ice sheet changes that have affected global sea level.